Product prices and availability are accurate as of 2019-04-23 05:09:03 UTC and are subject to change. Any price and availability information displayed on http://www.amazon.com/ at the time of purchase will apply to the purchase of this product. 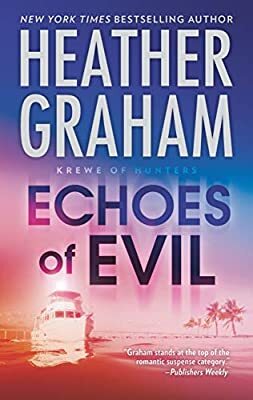 Brodie McFadden is supposed to be on vacation, getting some sunshine and deciding if he wants to join his brothers in the Krewe of Hunters, a special paranormal investigation unit of the FBI. But a diving excursion with an old navy buddy to a historic shipwreck uncovers a crime scene—and the corpse is new. Museum curator Dakota “Kody” McCoy just wants her Key West culture festival to succeed. She’s always had a deep connection to her home, including being regularly haunted by some of the resident ghosts. Then, in the middle of a performance, a beloved local musician drops dead. It seems accidental, but Kody isn’t so sure. Brodie thinks the recent deaths are linked, and he needs help from Kody. Something about her festival is dangerous. And the threat is creeping ever closer. Has she uncovered a treasure from the past that someone will kill for?